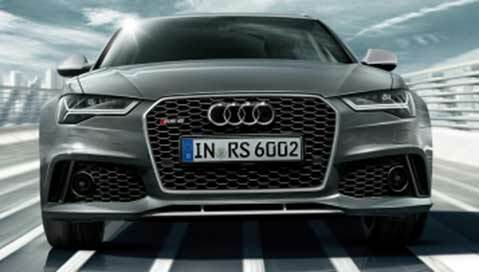 From the first RS model, the RS2 - which hit the roads in 1999, to the latest RS range, Audi's motorsport pedigree has played a pivotal role in developing technologies for the road. The RS name stands for pushing boundaries to achieve enhanced sports performance and efficiency. The technology that is so effective, on its first appearance, it attracted a ban in competitive motorsport. 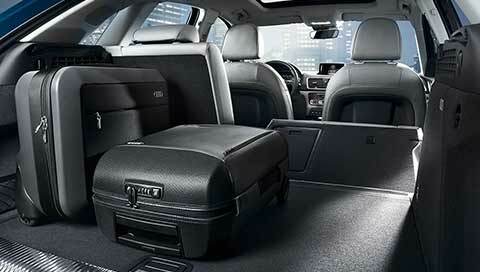 Launched in 1980, our renowned Audi quattro all-wheel drive system sits at the core of Audi's RS models. Responsible for controlling the immense power behind the cars, it delivers optimal drive to each wheel to ensure superior handling, phenomenal grip and dynamic responsiveness. When the Silver Arrows were king, Auto Union, an Audi ancestor, built them. Arresting, powerful machines, they were notable for the use of aluminum in the design, their Grand Prix wins and their then-uncharted performance (a supercharged engine design that produced up to 550 hp). Auto Union Silver Arrows led to innovative applications of supercharging, the use of lightweight materials and ultimately our use of ASF® aluminum construction. In 1977, Audi engineer Jörg Bensinger wondered how a high-performance vehicle would perform with all-wheel drive. Within three years, quattro® all-wheel drive was born and dominated motorsports. The grip that quattro® delivered, soon found its way into all Audi performance models, and helped drivers gain confidence even in challenging conditions. 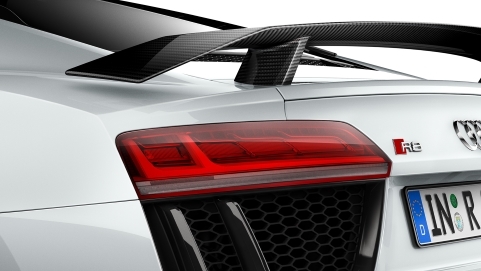 When FSI technology was introduced into Audi motorsports in 2001, it was a bold move, powering the R8 Le Mans prototype. A twin-turbocharged 3.6-litre V8 with FSI direct injection maximized both power and efficiency. Today, Audi performance cars feature FSI to help drivers maximize the power generated when they hit the accelerator. S tronic is a version of an automated sequential manual transmission first named “S tronic” in the 2005 Audi R10 Le Mans prototype. Originally using a single-clutch design, a second clutch was added to Audi performance models, which made for smoother acceleration and gear changes as quick as a few hundredths of a second. We introduced the Audi R18 ultra just in time for the 2011 24 Hours of Le Mans. As the showcase vehicle for the ultra lightweight technology initiative, the R18 ultra shows how smart design and the use of lightweight technology materials like aluminum, carbon fiber and magnesium can make all our Audi performance models more nimble, more responsive and more progressive. Audi also sees the future of motorsports— electrification. That’s one of the reasons why we have brought out the Audi e-tron quattro®, especially now that quattro® is back after being banned from competition for providing an unfair advantage. The track-ready e-tron quattro® racecars provide a powerful balance between progressive thinking and dominating, controlled performance. It is on this platform that we will build our next trophy case. The ambition of every RS model: nothing less than the maximum. A combination of power reserves, superb aesthetics and control – all part of the motorsport legacy. The result: high-performance driving machines approved for road use. Worthy to display the distinctive RS logo.